Plum Butter Pirog - Let the Baking Begin! The tartness of the plum butter, the aroma of the roasted walnuts and the slight crispiness of the meringue that yields into a cloud of fluff is the ultimate fall treat. It throws me right back to my childhood every time I make it, because it reminds me of when my mom used to make this Plum Butter Pirog for us as kids. 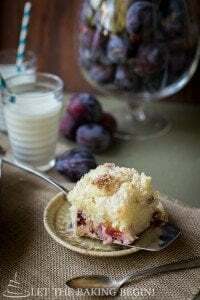 Where I grew up, there was no shortage of plums and plum butter was very popular for use in cakes and other desserts. If you can not find plum butter where you live, you can use any kind of tart preserves or jam that you can find. Black currant jam which is not super popular in the states is another good alternative. If you don’t have either, just use peach or apricot preserves. I usually stock a couple jars of the plum butter, just so that I can make this pirog every once in awhile. The dough for this pirog is so universal that you can basically throw anything on it and it will be good. But something with tartness works best to offset the sweetness of the meringue. The walnuts give this Plum Butter Pirog a good textural contrast and add great flavor. In our family we like a lot of nuts, so I add around 2 cups, but if you’re not a fan, you can either omit it altogether or just use less (1 cup). 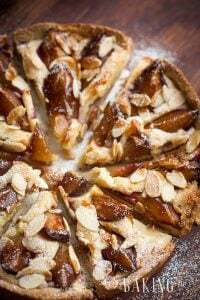 I love bringing this Plum Butter, Walnut and Meringue Pirog to potlucks or gatherings. It is not too difficult to make and always gets rave reviews. 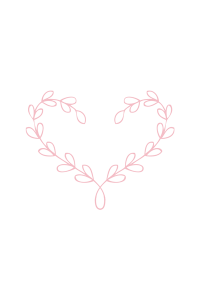 That’s another reason why I am posting the recipe – I needed to be able to send folks somewhere, so I don’t have to write the recipe on a napkin when they ask for it. Spread the Basic Pirog dough along the bottom of the 13’x9′ baking pan (or use regular jelly roll baking pan 18’x12′. If you do, the pirog will be thinner), rolling the dough out on a well floured surface, or between two sheets of plastic wrap and then transferring, or just by pressing it into the pan with your fingers. Top with an even layer of 2 cups of plum butter. 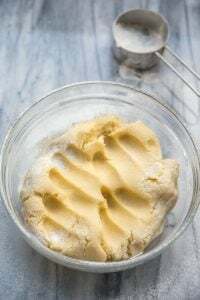 Depending on the tartness of your plum butter you will want to use the full 2 cups or less. TIP: Look for good quality plum butter like this one HERE in your local Russian/Slavic stores, OR you can buy it on Amazon.com. It is more expensive on Amazon though. ALSO: you can replace the plum butter with any kind of other tart jam or preserves. Black currant preserve works well, but you might need to use only 1 to 1.5 cups here. Top the plum butter with 1 cup of roasted, chopped walnuts. Now make the Basic Meringue. Fit a pastry bag or a large Click & Seal gallon sized ziplock bag with a star tip (I used French Star Ateco tip #869). Fill it with the prepared meringue. Alternatively you can just spoon the meringue and spread it into an even layer on top of the chopped walnuts. Pipe the stars on top of the sprinkled walnuts all over the unbaked pirog. Place in the preheated to 350F oven for about 40 minutes. If the tops of the meringue start to brown too quickly, tent the top with a layer of foil and continue baking until the bottom of the pirog is golden in color and the top of the meringue is crispy. Do not bake until the inside of the meringue is crispy. The inside is meant to stay soft and marshmallowy. Use your best judgement and adjust the baking time according when the bottom is baked through and the top is crispy, but marshmallowy on the inside. If you use a 12’x18 baking pan to make this pirog it will take less time to bake, since it is thinner. Allow to completely cool before serving. To serve, cut into squares. Dulce de Leche Macarons – A delicious macaron recipe. Prague Cake – Chocolate sponge cake layered with Chocolate Custard Buttercream. 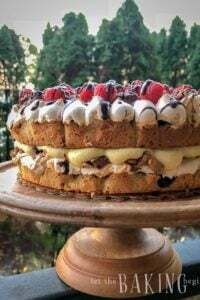 Kiev Cake – Yellow Sponge Cake combined with Hazelnut Meringue, Russian Buttercream, and Tart Cherries. Preheat oven to 350F with the baking rack in the middle. Spread the Basic Pirog dough along the bottom of the 13'x9' baking pan (or use use regular jelly roll baking pan 18'x12', if you do, the pirog will be thinner), rolling the dough out on a well floured surface, or between two sheets of plastic wrap and then transferring, or just by pressing it in with your fingers. Place in the preheated to 350F oven for about 40 minutes. 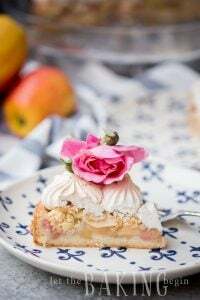 If the tops of the meringue start to brown too quickly, tent the top with a layer of foil and continue baking until the bottom of the pirog is golden in color and the top of the meringue is crispy. Do not bake until the inside of the meringue is crispy. The inside is meant to stay soft and marshmallowy. Use your best judgement and adjust the baking time according when the bottom is baked through and the top is crispy, but marshmallowy on the inside. If you use a 12'x18 baking pan to make this pirog it will take less time to bake, since it is thinner. Can you tell me how long this Pirog recipe will stay fresh & the best way to store it. Can it be made ahead? Does it need to be covered to store? I need to make a few desserts for a wedding and I’m trying to make a schedule of when I can make the desserts and how far ahead. Btw I love this dessert esp the tart plum butter…mmm. I would say that this one tastes best within the first 24 hours. After that it’s ok, but loses it’s initial, best flavor. Best way to store it – you can leave it either at room temperature, or refrigerate it covered. Just stay away from the commercial fridges, because their air has a lot more moisture and can cause the meringue to weep. Sure am! Let me fix this right away! Thanks for the recipe. It was delicious and so easy to make. Question: Do you store the pirog in the fridge or can you leave it out on the counter? I leave it out on the counter, but my sister likes it out of the fridge so she would put it in the fridge. You can do either.